Summer is finally here and the heat is at its height. Too bad some of us are in the city and all we can do is dream of laying our banigs under the sun and wiggling our toes in the sand. But, if not by the sea, there is another way to cool off by way of mouth. Cold treats are best served on a balmy day, sitting in front of the fan in your sando as drops of sweat trickle down the face. We’ve all tried several reincarnations of cold treats—ice cream, sorbetes, gelato, snow cones, and even our very own halo-halo—but the entry of Rita’s Italian Ice in the country is about to change summer’s sweets. We could easily mistake a cone of Rita’s as soft serve ice cream, but it isn’t. “We call it frozen custard because the ingredients are the same as custard. The main ingredient is egg. By using eggs and cream, we’ve made the product much thicker and more dense,” explains Rita’s co-owner and operations manager Ted Castro. “We have similar-looking machines [as with making soft-serve ice cream] and it’s dispensed the same way. With soft serve, what happens is [the machine] dispenses an air overrun of 80 to 100 percent, meaning half of what you get is mostly air. It’s very light and it melts easily. But with frozen custard, it’s dispensed with an overrun of 50 percent, making it really, really thick,” he adds. And it’s true! 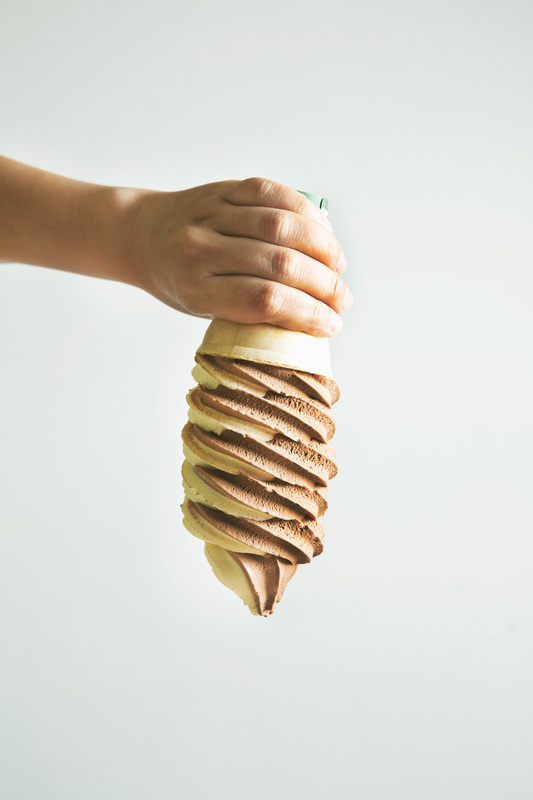 Invert the cone upside-down after a few licks and it still stays on the cone—a test worth trying for first-timers. Expect frozen custard to feel like ice cream in the mouth but with a richness to it. The Italian ice treats will also not disappoint. “It looks like a snow cone or shaved ice,” Castro describes, “but unlike them where you just get crushed ice with syrup and toppings altogether, Italian ice is made using the same process as ice cream.” It all starts with water, then the syrup and toppings are added and churned in a special Italian ice machine. “It’s smooth and creamy. You don’t get ice chunks at all,” he says. The house of Italian ice and frozen custard offers 40 flavors like mango, vanilla, and coffee. A dozen of toppings is also available: Reese’s Peanut Butter Cups, Snickers, candy sprinkles, chocolate chips, and much more. 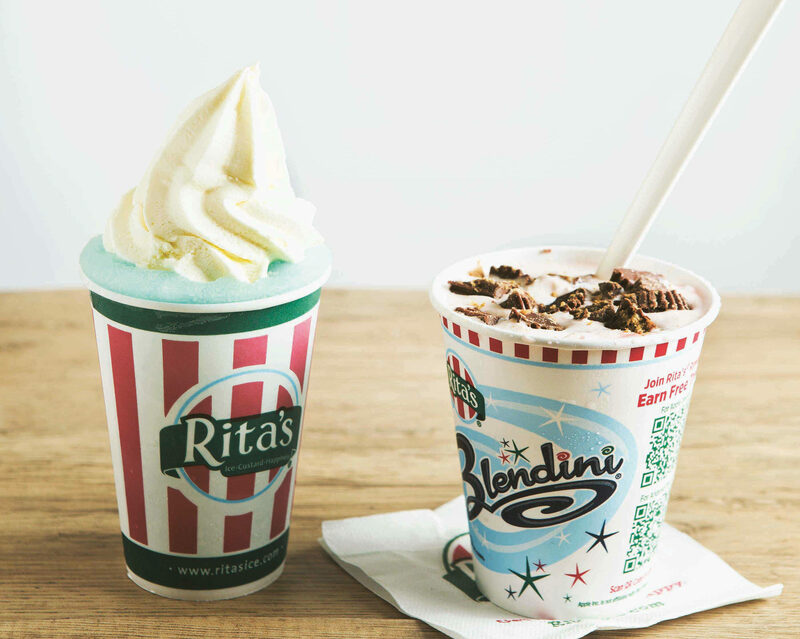 “Our bestsellers are combinations of both [Italian ice and frozen custard.] They just go so well together,” Castro says. The challenge then is creating a combination, maybe one that is reminiscent of an island escape while stuck in the city. This story was originally published in Northern Living, January 2015. Rita’s offers icy cold treats that are a step above ice cream: their frozen custard uses custard ingredients—eggs and cream—making it thicker and more dense than regular ice cream.